Habitat - Thickets, alluvial forests, mixed or deciduous woods, floodplains, hammocks. 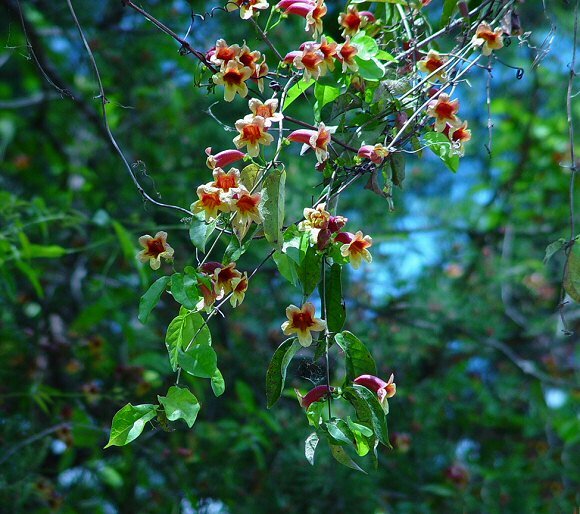 Other information - This striking vine can be found throughout Alabama and is common. 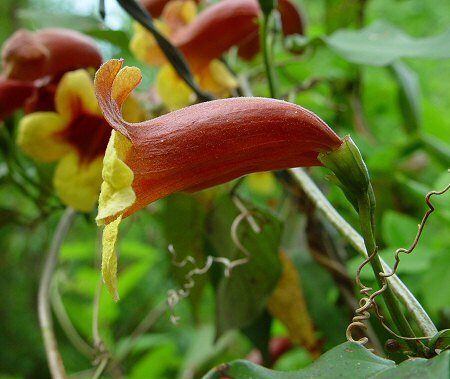 The vine can grow quite high and the flowers are often seen more lying on the ground than in-situ. If cultivated, the plant makes a great display. 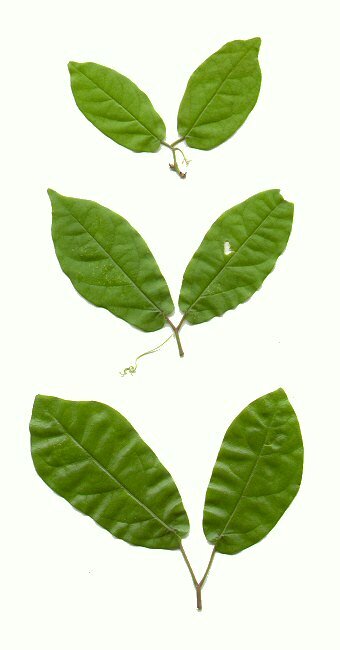 This is an easily identifiable species because of its opposite leaves (which have paired leaflets), and its red and yellow flowers. 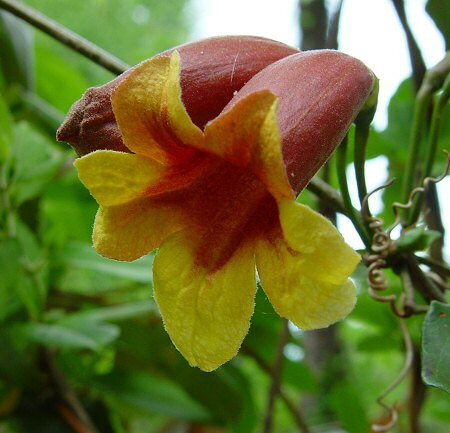 The stem of the plant resembles a cross when cut transversely, hence the common name. The species epithet, capreolata, comes from the Latin "capreol" which means "tendril" referring to the tendrils of the leaves. The genus and family names Bignonia and Bignoniaceae are named for a French librarian Jean Paul Bignon (1662-1743). Bignon was not a botanist but was friends with a famous French botanist, Joseph Pitton de Tournefort (1656 - 1708). Tournefort was one of the first botanists to classify plants according to their corolla design and was one of the first to classify plants by genus AND species. Strangely enough, Tournefort was killed by being run over by a carriage in Paris. The very road that he was killed on now bears his name, the "Rue de Tournefort" in the 5ème arrondissement. Photographs taken in Brown Summit, NC., 5-2-02 and 4-9-03.